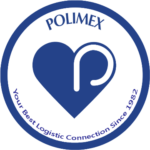 Home » News » Members Directory » M » Manitius, Kristopher – Polimex Trading Inc.
Manitius, Kristopher – Polimex Trading Inc.
Polimex started in 1982 with a focus to serve the needs of importers and exporters who trade between Europe and North America with its commercial cargo shipping service. For over 36 years, it has also helped European Canadians keep in touch with their friends and family back home in Europe through sending packages and gifts with Polimex’s parcel shipping service. Since that time, Polimex has expanded its parcel shipping service to businesses that wish to ship their product directly to business and consumers in Europe, particularly in the growing age of e-commerce, and break into the European market without having to incur warehousing costs for maintaining inventory in Europe. 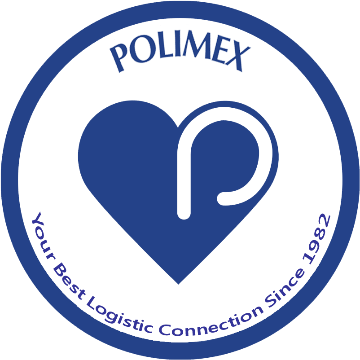 Polimex offers a complete set of logistics solutions – we ship cargo of every size from envelopes to skids to LCL to multiple full containers. Air Freight: we offer fast and reliable transportation service, along with tailored and cost-effective solutions. Choose from multiple carrier options and schedules. Sea Freight: our services include: Full Container Load (FCL) & Less than Container Load (LCL) all around the world and our weekly LCL console from North America to Europe. We offer services for large and small cargos, as well as for individual cargo shipments, and we make use of our strong relationships with all major shipping lines and a continually expanding global ocean network. Polimex Brokerage: we offer reliable advice on customs procedures & compliance issues, and on regulation regarding new Trade policies (e.g. CETA). We have licensed in-house consultants with years of experience and offer a no-obligation sample review of your documentation. Polimex Storage & Distribution: We also offer complete warehousing solutions through. Our facilities are conveniently located in the Greater Toronto Area (GTA). Our warehousing services include: Inventory Control; Order Pick & Pack; Container Loading/Unloading; Sorting, Labeling, & Palletizing. The above rates are in CAD and for the Greater Toronto Area (“GTA”). For rates outside of the GTA, please contact your local agent. Please visit http://www.polimex.com/en/content/agent-parcelsfor agent locations/contact information. The size of the parcel may affect the price per kilogram of the parcel. The weight and size restrictions apply to parcels. *Prices do not include parcel pick up from office/home/warehouse. **From the date the package arrives in our warehouse in Brampton. *** Prices as of April 12th, 2018.